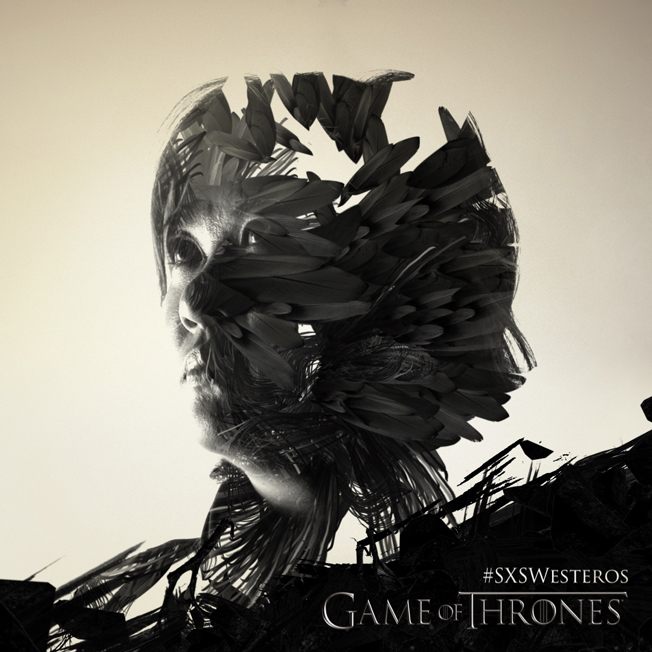 It's not just interactive technologies, film and music at the South by Southwest festival on March 13 through March 21. 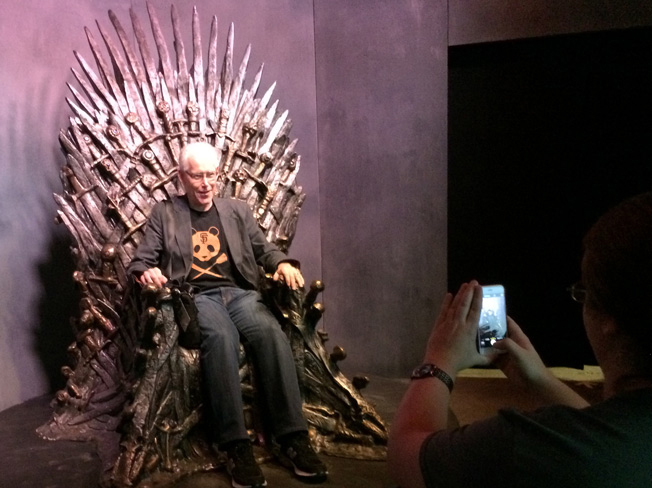 Several TV brands came to Austin and devised experiential activations that let fans delve deeper into their favorite shows, as well as introduced the programs to potential new audiences. 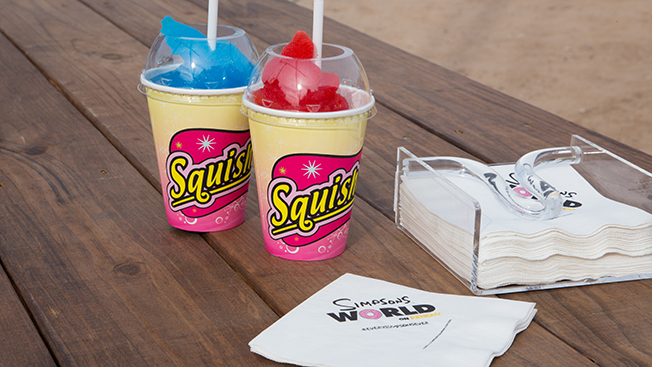 Here's a few of our favorites. 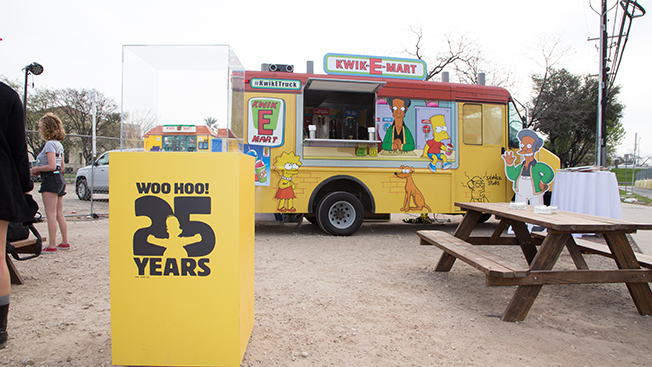 The Fox cartoon embraced Austin's food truck culture and created a pop up Kwik-E-Mart that served more than 3,400 frozen drink Squishees at a brain-freezing rate of 2.6 orders filled per minute. The Simpsons previously transformed 7-11s to look like Apu's workplace for The Simpsons Movie, but this was the first time the activation was put on wheels. After Austin, the truck is slated to go on tour around the country. While waiting for the drinks, fans could check out branded iPads tethered to the truck that featured every single episode of the show. 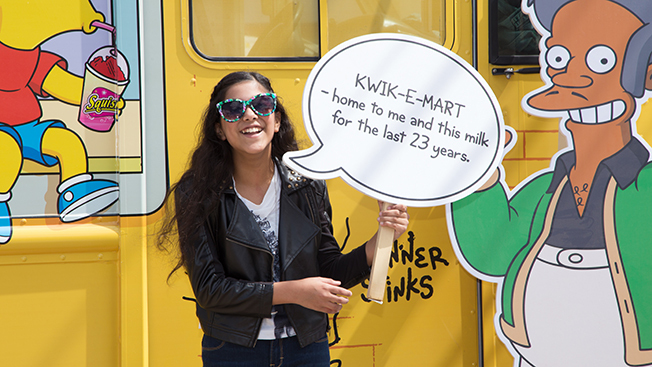 Passersby could also take a photo of themselves inside a Kwik-E-Mart thanks to a little green-screen magic, or they could inspect the The Simpson's Kwik-E-Mart Lego set, which will be released shortly. 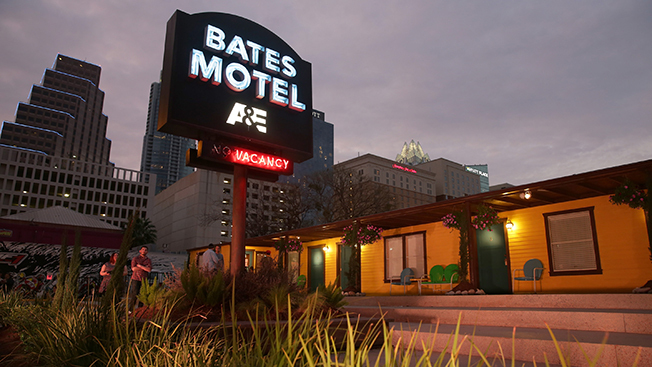 Right next to the Austin Convention Center, A&E built a replica of the eerie Bates Motel. 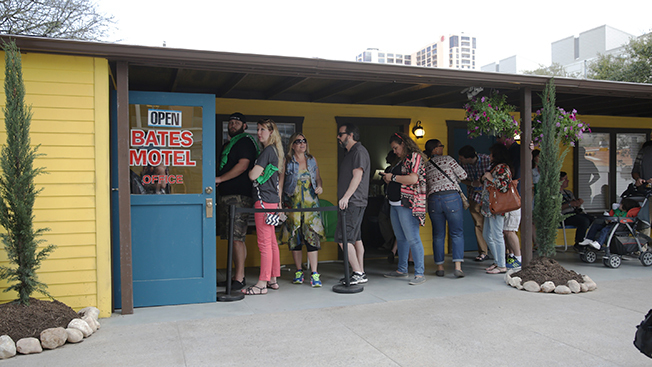 Not only could fans check out the rooms, peek at clues from the upcoming season and take home a commemorative key chain, they could enter to win a one-night's stay from March 13 through March 21 in the prime SXSW location, complete with brownies from Austin bakery Delish and a welcome package from Tito's Vodka. Winners also had access to minibar room service from liquor delivery service Drizly, as well as maid service sponsored by booking platform Handy. And, yes, it's outfitted with working showers and toilets, a spokesperson assured a concerned visitor who asked about the water logistics before signing his name. 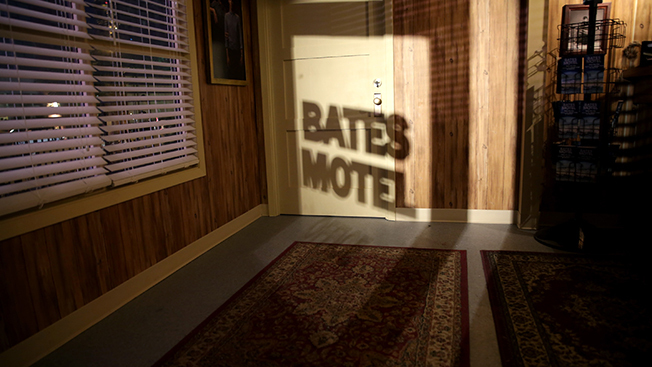 He didn't seem flustered, however, when he was told about the Bates-themed "surprises" that would await the winner while they spent the night. 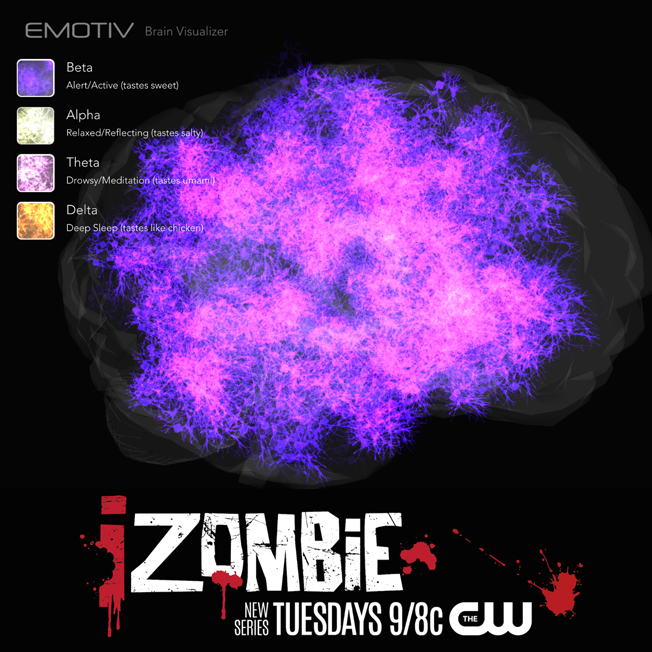 And, since it isn't SXSW without the parties, CW's upcoming zombie comedy iZombie and BuzzFeed teamed up to host a party and a "brain scandy" event. 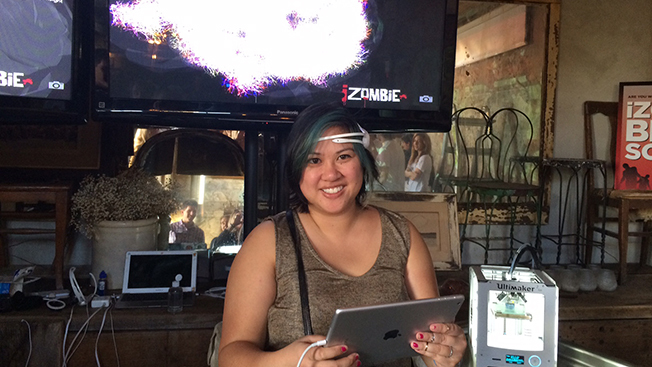 Attendees tried on an Emotiv headset, which scanned their brain waves and showed them how they were thinking. Then, depending on which brain activity was most active, they were given a corresponding colored and flavored 3-D printed candy—so you could taste your brain. For example, if your brain was mostly alert with beta waves, you got to take home a sweet tasting treat. Those that had more sluggish delta waves munched down on a chicken-flavored delight. Keeping your thinking cap on, you could also watch 3-D plastic brains being printed and learn more about how the technology works. The activation was created and facilitated by Ignition Factory, which is the innovation unit of OMD. Production house Thinkingbox also aided in executing the actual event.